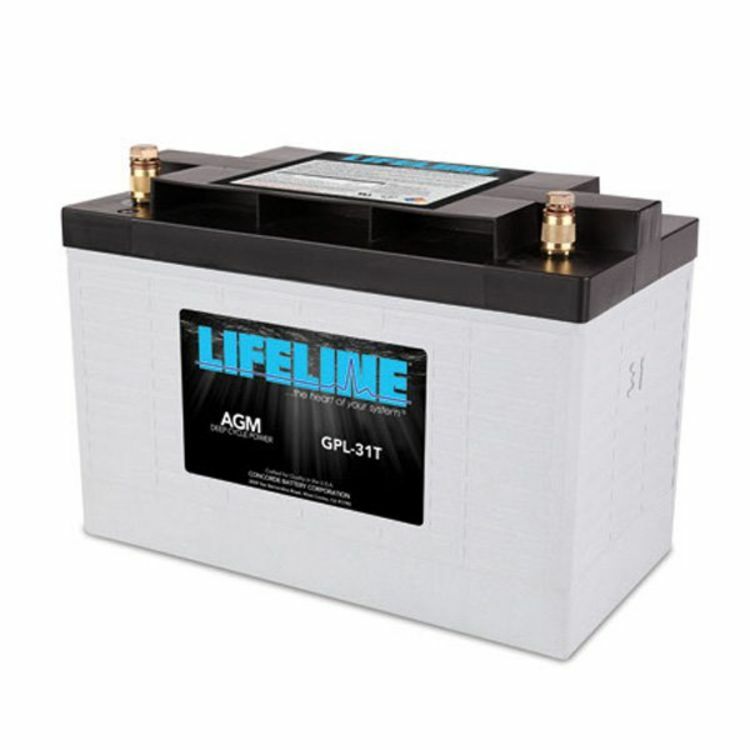 The Lifeline GPL-31T is a high performance, Mil-Spec, AGM battery, produced in the United States. Due to the Lifeline Battery's quality construction, it has an industry leading 2% per month self discharge rate at 77°F (25°C). These batteries off gas only 2% by volume under normal operating conditions, again, industry leading. No sulfuric acid leaks, no acid clean up, and more power in the same space when compared to conventional batteries. Do you own the GPL-31T? Please, tell us what you think about it. It helps us provide you with better products. Please note that it may take up to 72 hours for your review to appear. Pros: I am a retired lead acid battery design engineer (not from Concorde). The Lifeline's positive plates are almost twice as thick as any competitor's positive plates. That translates to cycle and maintenance Lifespan. Concorde, manufacturers batteries for commercial and private aircraft. Concorde manufactures batteries for the USAF and Naval aviation. Only quality and reliability influences their decision. Concorde publishes a definitive care and maintenance PDF owners manual. No one has offered me one cent re-numeration for this review. Cons: The cost of the Concorde Lifeline turns off some folks. I am a cheapskate when it comes to purchasing batteries and I pay the same price as do you. I prefer batteries that are 100% made in the USA. In my long life, I have enjoyed fifty dollar dinners that were worth every cent. I have also suffered five dollar dinners that were a ripoff. VALUE is the key to "Buying Smart"